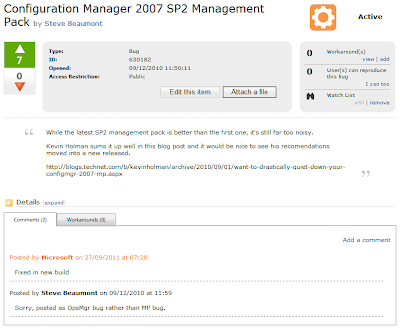 I've just had an e-mail from the connect site about a bug I raised for the SCCM MP for SCOM and the noise it generates in SCOM. 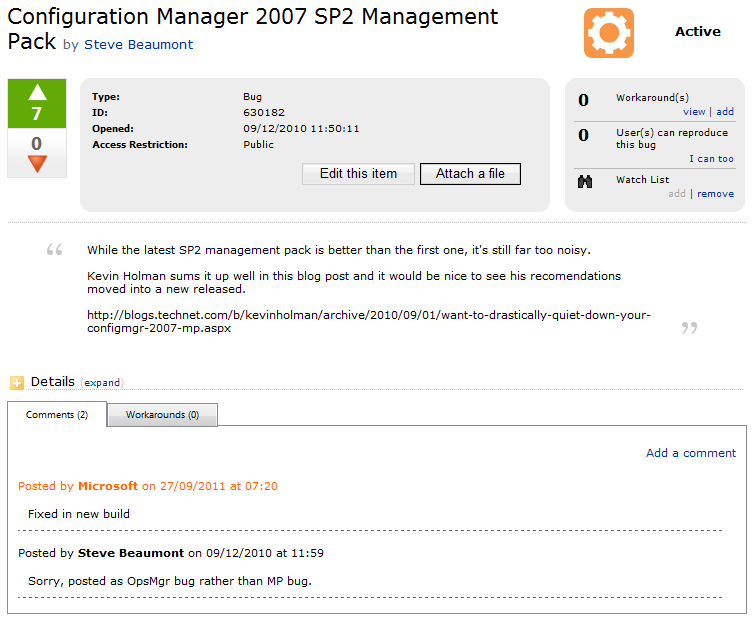 What was interesting was that my submission has been marked with "Fixed in new build". Does this mean we're about to see a new release??? Fingers crossed! yes, that's the implication. we all have to wait.